The Audio-Technica ATR2100-USB is a great entry-level podcast microphone that will give you professional quality sound. The best feature about this microphone (besides the sound quality) is that it has the both USB and XLR outputs so you can plug directly into your computer (via USB) or plug into a mixer (via XLR). 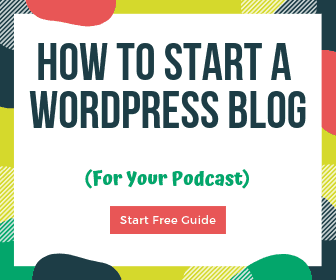 This is perfect for the beginner or intermediate podcaster or singer, or even just to use for business calls. You don’t need to get a ton of gear all at once, and as your skill level or needs increase, it’s easy to add a mixer without having to get a brand new mic and shock mount. The ATR2100-USB comes with everything you need to start podcasting. At the time of this writing, it has over 800 reviews with an average rating of 4 1/2 stars on Amazon and is under $70. I’ve heard from multiple people that the sound quality is nearly equivalent to microphones 3 or 4 times the price (like the Heil PR-40). Or said another way, is the PR-40 five times as good as the ATR2100? 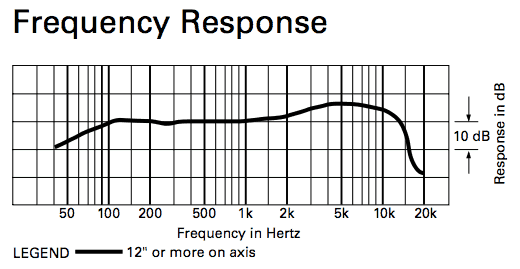 Check out this audio comparison of between the ATR2100 and PR-40. Because of the price and flexibility of the ATR2100-USB microphone, it has quickly become one of the top entry-level USB podcast mics. We also feature it in our reviews of the top computer mics and the best XLR mics. 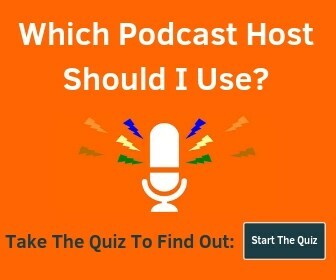 It can also be used for live streams, conferences, voice recording and more. Because you see them compared often, I should also point out that the Audio-Technica ATR2500-USB is basically the same mic, but is a side-address (not handheld) and doesn’t come with the XLR option. I would stick with the ATR2100 if you’re debating between the two. It can be difficult to find the correct shock mount for the ATR2100. Certain listings on Amazon claim they are built for this mic, but that’s not true. 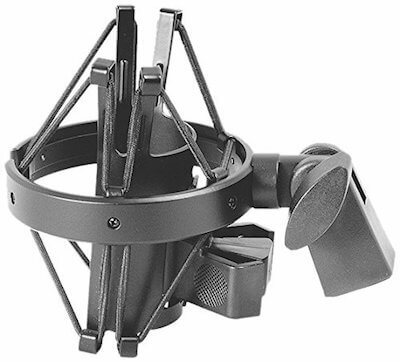 For me, the top listing when searching for “ATR2100 shock mount” was a shock mount from Audio-Technica (the same brand that makes the microphone) but it doesn’t actually fit this mic. 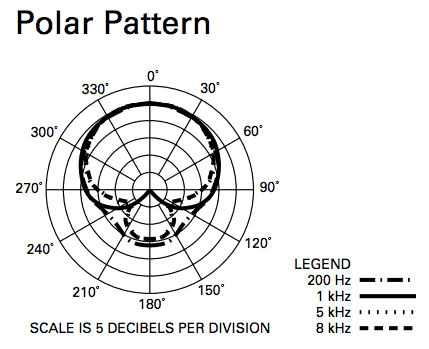 It’s too narrow (or the mic is too wide) – don’t get that one. Instead, you’ll want to get On Stage MY-420 Shock Mount. It attaches with a standard 5/8″-27 thread and adjusts to different angles. 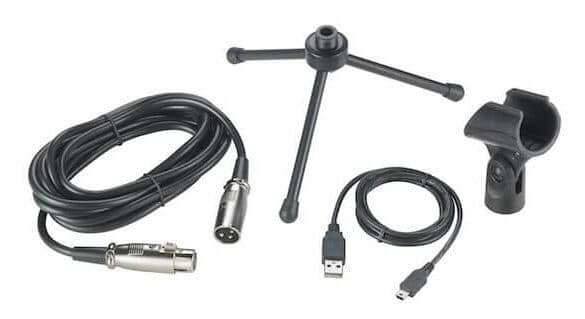 It will also fit the Audio-Technica AT2005USB microphone. Getting a shock mount will greatly increase your sound quality and reduce unwanted sounds, especially from typing, clicking the mouse or hitting your desk. You’ll need to attach it to a boom arm or microphone desk stand (it won’t work with the desk stand included with the ATR2100).